Dr. Malik is now serving his regular clients and accepting new patients Monday, Wednesday, Thursday and Friday 9 am to 6 pm. Digital radiography is a form of X-ray imaging, where digital X-ray sensors are used instead of traditional photographic film. Advantages include time efficiency through bypassing chemical processing and the ability to digitally transfer and enhance images. Also less radiation can be used to produce an image of similar contrast to conventional radiography. 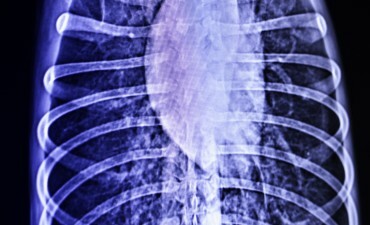 Instead of X-ray film, digital radiography uses a digital image capture device. This gives advantages of immediate image preview and availability; a wider dynamic range, which makes it more forgiving for over- and under-exposure; as well as the ability to apply special image processing techniques that enhance overall display of the image. At Veterinary Emergency Clinic of York Region, we proudly have all our x-rays read by Board Certified Radiologists. Hoppy Easter from us to you!! Reminder we are open today! Should you have any concerns regarding your pet, walk in or give the clinic a call!.. Misha made best friends with Thor the clinic cat during his visit. What a couple of cuties!